Client: National Offenders Management Services. 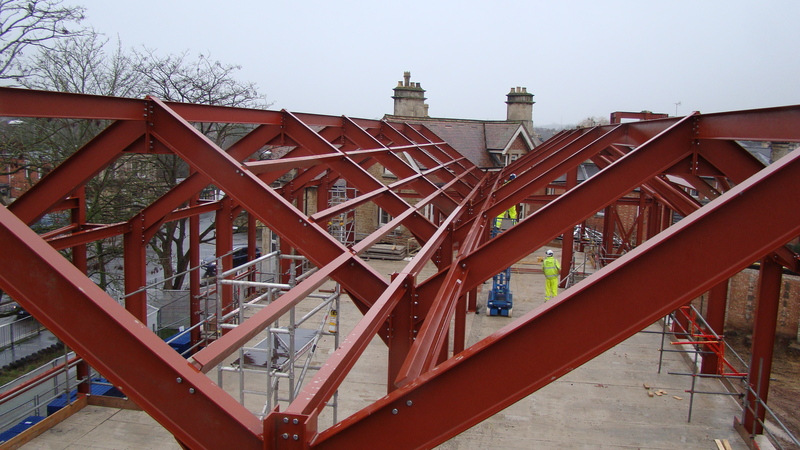 Structural Engineers: Scott White and Hookins. 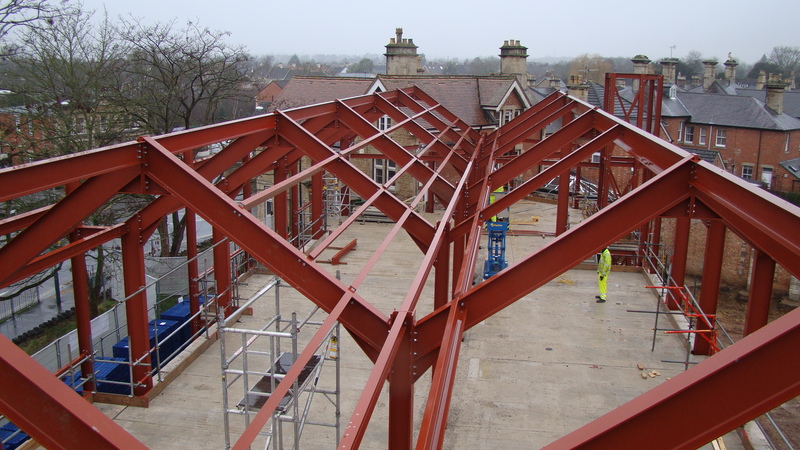 Package Summary: Robbin were tasked with providing a large Steel frame to create New Offices set within the Parkfields area of Chippenham. 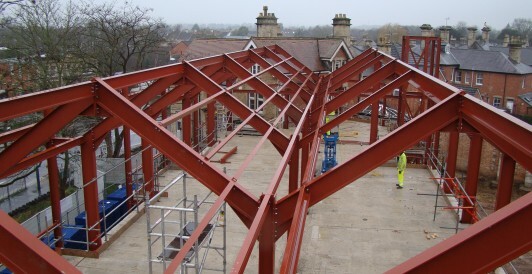 Extending an existing listed building to accommodate the National Offenders Management Services, the site was particularly tight and necessitated a sequenced installation programme coupled with scheduled and managed deliveries. 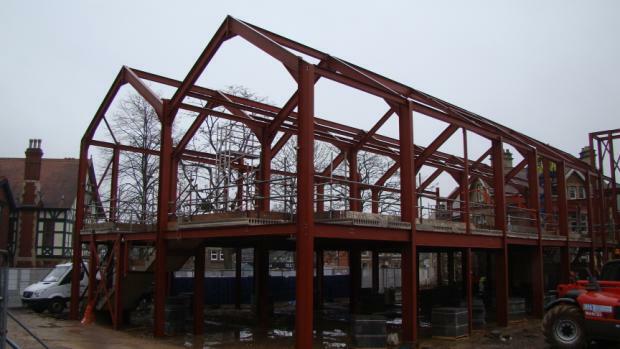 Products: Large Steel Frame/Cold Rolled Purlins.